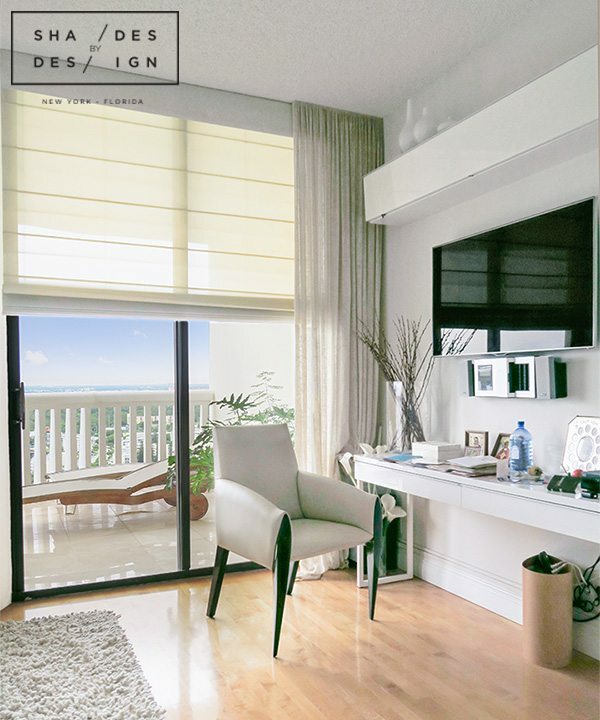 Beautiful views like the one from this penthouse need to be preserved, but the client also deserves a deep sleep with no interfering light, and comfortable summer days in their home without the sun blazing in. 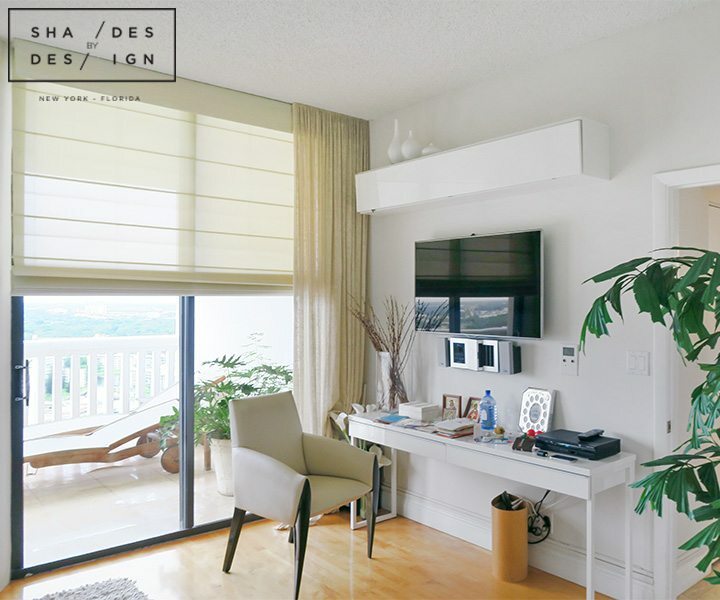 To achieve this, our team installed blackout roman shades in the bedroom and modern roman linen shades for the living spaces with decorative curtain panels. These shades were motorized with SOMFY motors and operated via controllers. Preserve the amazing view while hindering extreme heat from entering during the daytime. 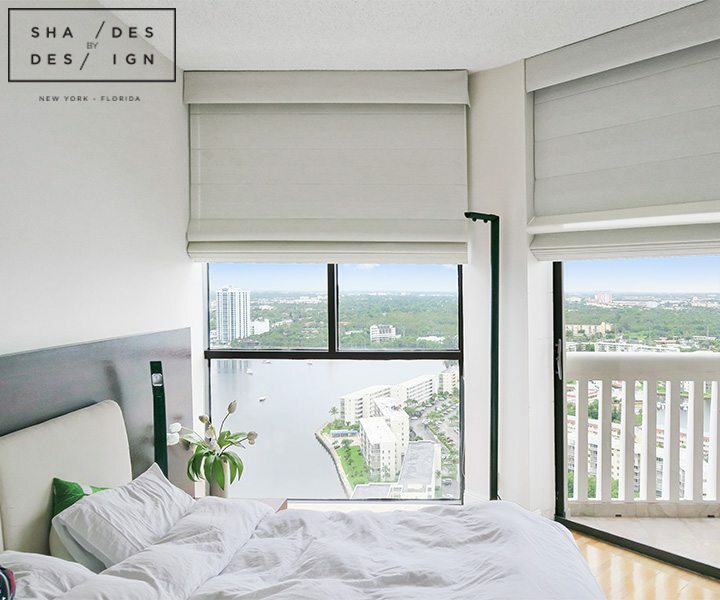 • Bedroom: Modern Blackout Roman Shades. 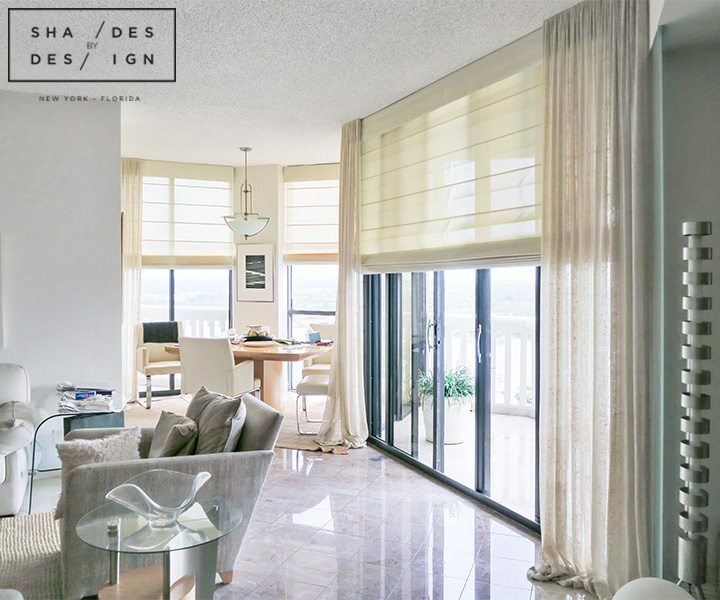 • Living/Dining Area: Modern Roman Screen Shaded & Decorative Curtain Panels. SOMFY Motors operated via controls.